I always end up buying the same wines over and over again. Why? Laziness? Consistency? Lack of Imagination? Maybe. But really, I think its about not being disappointed. Contrary to the habits I formed in my 20’s (I just turned 30), drinking a bottle every night is probably not the best idea. That being said, it is important to know that when you do indulge, you are drinking what you like, and liking what you drink. 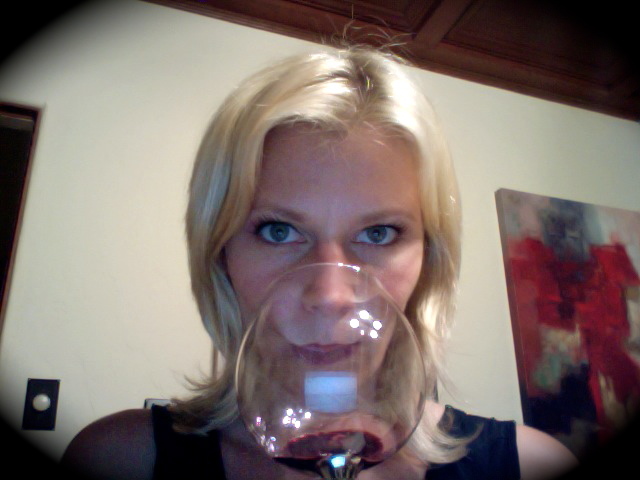 So here are just 5 of my go-to wines, and why I like them. 5) Ledson “Mes Trois Amours” 2007. Why Ledson? Well, first, I’m in their wine club. Its the only wine club I am in, if that says anything. They basically don’t make a bad wine, but their Trios Amours is super yummy lush, deep, with supple dark fruit. And, I really, really, liked visiting there. They have an amazing castle-like estate in the heart of Sonoma. Its beautiful. So, wine not?!? 4) Layer Cake’s Malbac 2009. Layer Cake always ends up in my shopping cart. It is just one of those consistant and satisfying wines, that you can pop open on a Tuesday night, and not worry about having spent a fortune on it. Its about $15 a bottle. Also, its a great wine to take to a party or a friends house, because, lets face it, most people at the party probably wouldn’t even understand the difference between this wine and more expensive competitors, so go with the quality-minded bet. Plus, the label is cute, so girls like it. 3) Ridge Lytton Springs Zin 2007-2009. Now, I need to be specific here: I do not like all Ridge Wines. Their super-high-end Monte Bello left a lot to be desired. Their other zins can be flat and boring. However, every single time I’ve bought the Lytton Springs Zin, I’ve basically stuck my tongue in the bottom of the bottle to lick out every drop. This is the perfect wine for those nights you are having a Betty-Homemaker attack, and feel the need to cook your loved one dinner. Its a “nice” wine, without costing over $30. Also a really good wine for newer wine drinkers, because it has a little more sugar left on it. I don’t get to drink Caymus everyday…. yet. But it is certainly on the “goals” list to someday make Caymus my “Tuesday Wine.” There are two types of Caymus. The regular, and the Special Select. Don’t waste your $ on the special select, you probably won’t be able to tell the difference. Caymus is the wine you bring and share with your friends who know about wine and like to drink wine. With every bottle of Caymus, I try and make sure it is decanted, poured, and consumed before everyone is too drunk to appreciate it. It is pure silk in a bottle. I also had the chance to meet the winemaker when I was at U.C. Davis. Really cool guy. I think we smoked cigars together, but I don’t remember much from the Davis Executive Program, other than it was fun. 1) Heitz Cellars Cab 2005. As far as price-quality-value-fanciness goes, I love me some Heitz Cellars. They are about 100% Cab. Big. Napa. Fruit. The only reason Caymus is not in the #1 spot is because of its spendy price tag. Heitz does the wow almost as well for half the price. Heitz wine has been a friend of mine since I was 20. Although I don’t really know anyone from the company, I still feel like we go way back. It is a little bit of a homecoming when I buy and drink Heitz Cellars. Reminds me of the first Napa Cabs I fell in love with.